A US government report says that mistakes at facilities handling air traffic approaches and departures almost doubled over three years. ERRORS BY AIR traffic controllers in the vicinity of airports as well as incidents in which there was an unauthorised plane, vehicle, or person on a runway have increased sharply, a US government watchdog said in a report released today. Mistakes by controllers working at radar facilities that handle approaches and departures within about 48km of an airport that cause planes to fly too close together nearly doubled over three years ending in March, the US Government Accountability Office report said. Separately, runway incursions at airports with control towers increased from 11 incidents per million takeoffs and landings in the 2004 federal budget year to 18 incidents per million takeoffs and landings in the 2010 federal budget year. Most large and medium-sized airports have control towers. Such “runway incursions,” as they are called, can involve anything that’s not supposed to be on a runway, from a stray baggage cart to a plane that makes a wrong turn while taxiing. Apart from the automated system, the FAA has also adopted a new error reporting policy that encourages controllers to disclose their mistakes by not punishing them for those errors. “As a result of this culture change, the FAA expected to see an increase in reported operational errors. More information will help us find problems and take action before an accident happens, which will help us build an even safer aviation system,” the agency said in a statement. The GAO report acknowledged that changes in reporting policies and procedures at FAA may be partly responsible for the increases. “However, trends may also indicate an increase in the actual occurrence of incidents,” the report said. The FAA statement doesn’t address the increases in runway incursions. The FAA has had a program to reduce runway incursions since at least 2007, and officials have claimed significant success. The GAO report says that while FAA officials have met their goals for reducing runway incursions overall, the rate of incidents at airports with towers has increased. “The increase in runway safety incidents raises significant concerns,” said House Transportation and Infrastructure Committee Chairman John Mica, R-Fla. He said his committee would host a meeting with FAA officials and others on the issue. Paul Rinaldi, president of the National Air Traffic Controllers Association, noted that the GAO also credited FAA with taking steps to improve runway safety. Email “Sharp increase in errors by US air traffic controllers, says watchdog”. 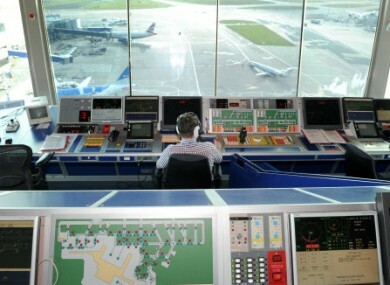 Feedback on “Sharp increase in errors by US air traffic controllers, says watchdog”.